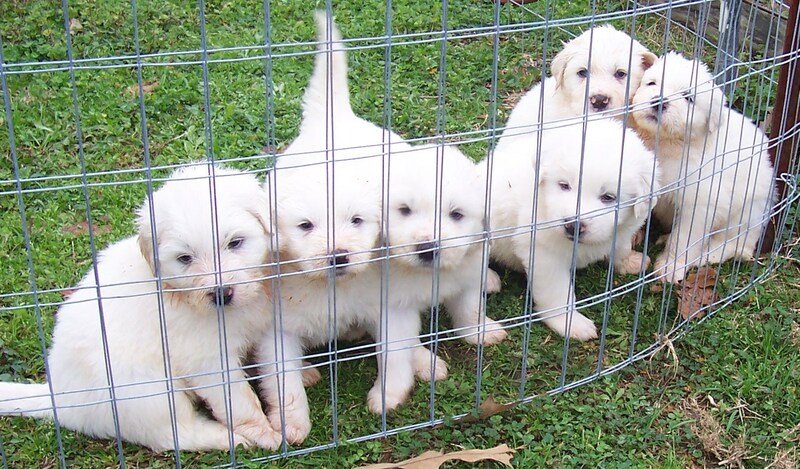 We raise Komondor/Great Pyrenese puppies. The adults stay with our goats, horses and chickens. They love people but are content to stay in the pasture with the animals. The male dog (behind) loves to spend time in the pond during the hot days of summer. Here is a picture of the last litter. 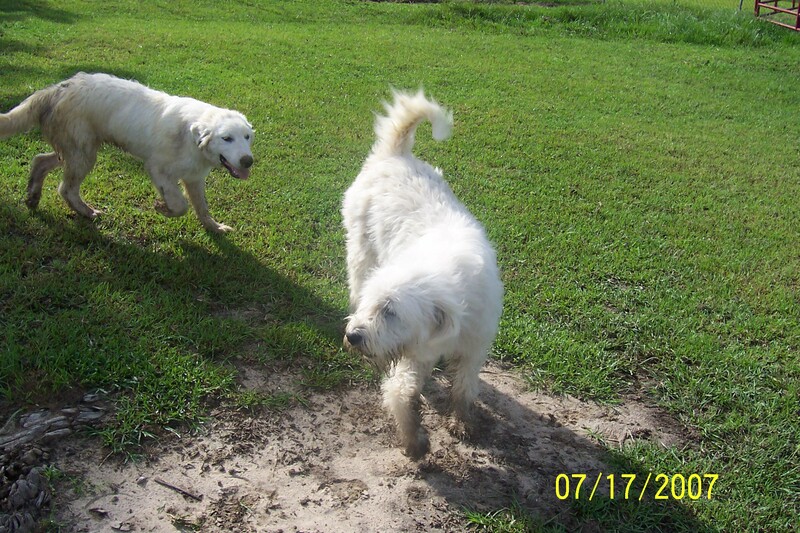 They are 3/4 Great Pyreneese and 1/4 Komondor. They grow fast and big! They make great guard dogs around the home as well.